Darkness Anomaly is a narrative driven, open-world horror game that shows how CRYENGINE can push beautiful visuals and create a truly chilling atmosphere – and it’s from one-man-outfit Roman Perezogin. The first demo for Darkness Anomaly will makes its debut at Quo Vadis ’17 in Berlin, and we sat down with Roman to find out more about the game and his experience developing with CRYENGINE. Hey Roman! Thanks for joining us. So, tell us about Darkness Anomaly. How would you describe your game? I would describe it as a moving and exciting piece, which can bring insight into the pain and suffering of the lives of others. It takes place in a town, a living world with people who have their own stories, often involving sensitive issues. In the game, as in life, the truth is always more complicated than it seems. Nothing is ever just black or white. That’s why I chose this medium. It has such a huge potential to carry an emotional message. Beyond that, it’s also a game that will have puzzles to solve, many of which will require out-of-the-box thinking, plus some occasional shooting sections. I also want to develop the game as a VR experience too, which I think will add even more impact. What would you say has influenced the game? Sharp Objects by Gillian Flynn was a real inspiration for the story. Other influences on the story and gameplay would be games like Silent Hill and Shadow of the Colossus and shows like Twin Peaks and The X-Files. How long have you been working with CRYENGINE? I started to work with CRYENGINE around two and a half years ago. 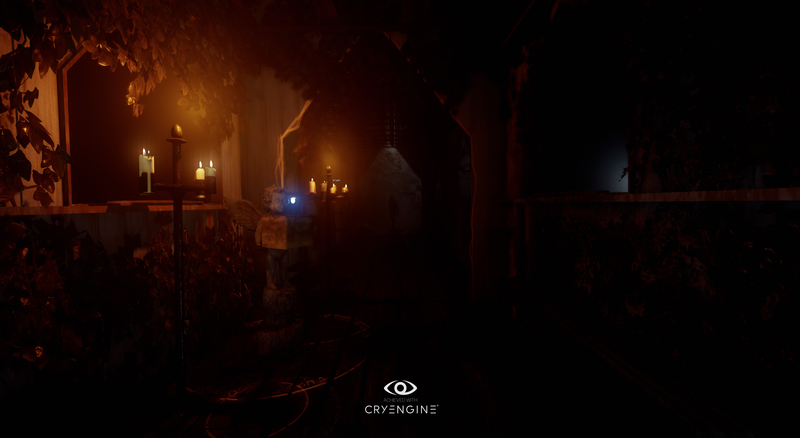 What are the main features of CRYENGINE that have been the most useful for you? First of all, I would say CRYENGINE itself is a really powerful tool that has enabled me to translate my creative vision into a game. When I first started with CRYENGINE, programming was completely new to me! Flowgraph was insanely powerful and easy to learn, and that was the main reason I chose CRYENGINE. As a newcomer to the game industry, CRYENGINE makes picking up development very easy and delivers a variety of tools to use. For example, Track View makes things like short sequences, or even long ones, so much easier to create. I can bring so much life into a world just by working with Track View. You’ve achieved amazing results as a one man team – what advice would you give to other solo developers? I know it sounds trite, but never give up and most importantly have the desire to learn new things. I also recommend you avoid over-working. Don’t lose sight of your health or your relationships. Solo game development can be difficult, but don't let anybody suppress your creativity and always dare to try new things. 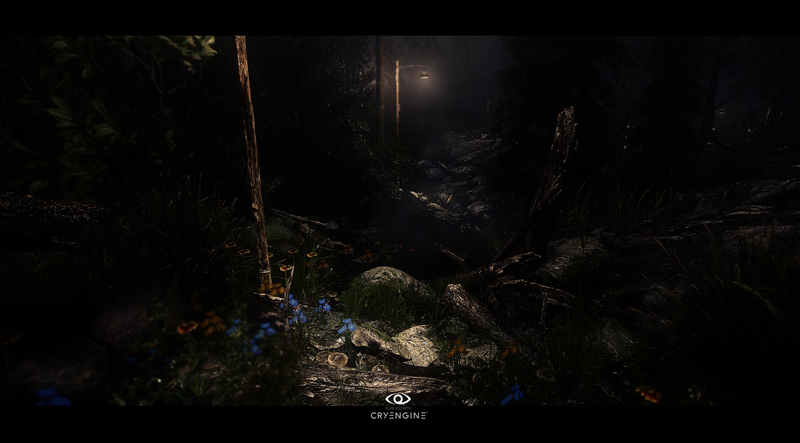 How have you found the CRYENGINE community? Without the CRYENGINE community I wouldn't be even close to a playable build! It was almost like some people took me by the hand. They showed me things, explained stuff. We solved problems together and created things for the community together. Some people in the CRYENGINE community are just amazing, and I’m thankful to have been part of such a great community. Have you got any specific tips you’ve learned about using CRYENGINE that you could pass on to readers? I would definitely recommend reading the CRYENGINE documentation to have an easier start and a better understanding of how the engine works. When is the game out? Darkness Anomaly will release in episodes. The first episode will be delivered somewhere around Q1 2018. I’d like to take a moment to thank some of the people I have been working with. You can’t really thank them enough. For instance, amazing voice actors like Brandon Fague, Richard Reed, Stephan Cornicard and Elijah Lucian, awesome sound from Peter Gundry and Kai Engel, and the countless people who helped me by providing great work for the project and helping me push forward. You can try out Darkness Anomaly for the very first time at Quo Vadis ’17 by visiting the CRYENGINE booth. Stop by and say hi to Roman, take the opportunity to learn more about the upcoming CRYENGINE 5.4 release from the team, or participate in Collin Bishop's CRYENGINE workshop. 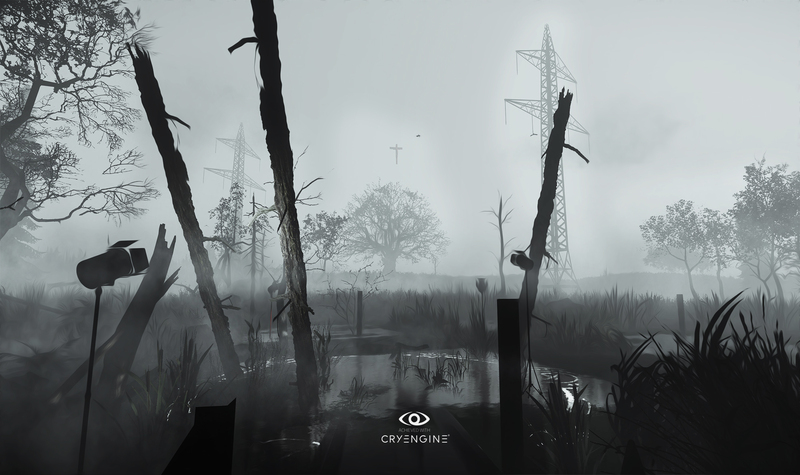 You can read more about Darkness Anomaly's development on CRYENGINE and find out why CRYENGINE is a great choice for independent developers in this Quo Vadis interview with Roman and CRYENGINE Community Manager Cry-Nic. As always, we’d love to hear your feedback, comments, and questions on our forums, Facebook & Twitter. Also, did you know that you can contribute to CRYENGINE's development? Check out how you can help here. I wish I could be there! But driving from Munich to Berlin and a ticket for at least 99 euro is a bit too much. Plus it isn´t quite helpful to skip class during the week before Abitur . At least we hopefully see us on Gamescom. Maybe Darkness Anomaly is also there.